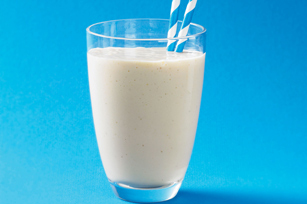 Savour every sip of this peanut butter and banana smoothie. It's cool, creamy and delicious - everything you expect in a smoothie! Blend first 3 ingredients in blender until smooth. Add ice; blend until thickened. For a flavourful twist, prepare using Kraft Peanut Butter with Chocolate.